Worldwide, more than 100 million people suffer from irregular heartbeat. This condition is caused by a disturbance in the creation or conduction of the electrical impulse responsible for a regular heartbeat. In some cases, these disturbances are caused by a damaged area of the heart muscle, for example, after a heart attack. The textbooks of medicine, however, admit that in most cases the causes of irregular heartbeat remain unknown. It is no wonder that irregular heartbeat conditions are a growing epidemic on a worldwide scale. Conventional medicine has invented its own diagnostic term to cover the fact that it does not know the origin of most arrhythmias. “Paroxysmal arrhythmia” means nothing other than “causes unknown.” As a direct consequence, the therapeutic options of conventional medicine are confined to treating the symptoms of irregular heartbeat. Beta-blockers, calcium antagonists and other anti-arrhythmic drugs are given to patients in the hope that they will decrease the incidence of irregular heartbeat. However, the most frequent known side effect of these drugs is an increased risk for new arrhythmias! Slow forms of arrhythmias with long pauses between heartbeats are dealt with by implanting a pacemaker. In other cases, heart muscle tissue that creates or conducts uncoordinated electrical impulses is cauterized (burned) and eliminated as a focus of the electrical disturbance in the heart muscle. Without an understanding of the primary cause of irregular heartbeat, the therapeutic approaches by conventional medicine are not specific and frequently fail. Modern Cellular Medicine now provides the breakthrough in our understanding of the causes, prevention and adjunct treatnent of irregular heartbeat. The most frequent cause of irregular heartbeat is a chronic deficiency of vitamins and other essential nutrients in millions of “electrical” heart muscle cells that generate and conduct the electrical impulse responsible for a normal heartbeat. 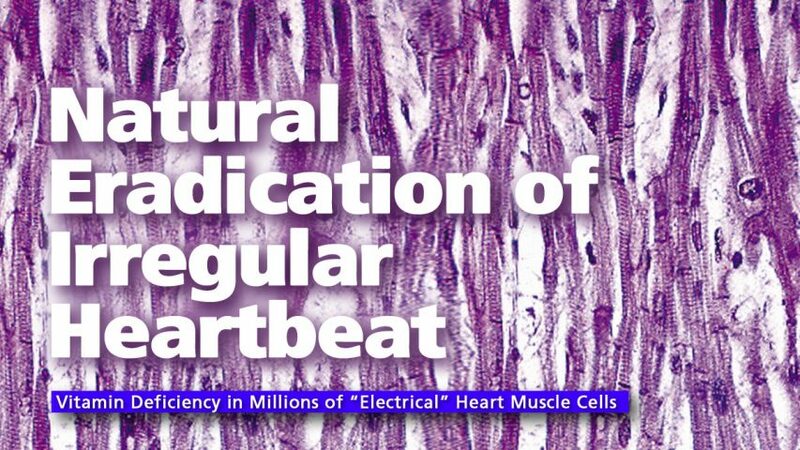 Long-term deficiencies of essential nutrients in these cells cause or aggravate disturbances in the creation or conduction of the electrical impulses and trigger arrhythmias. The primary method for preventing and correcting irregular heartbeat is an optimum supply of specific vitamins and other cellular nutrients. Scientific research and clinical studies have already documented the value of magnesium, carnitine, coenzyme Q-10 and other important components of my Cellular Health recommendations in helping to normalize different forms of irregular heartbeat and improve the quality of life for patients. Until today, conventional medicine did not recognize the basic understanding that irregular heartbeat is caused by a deficiency of bioenergy-carrying nutrients in the heart muscle cells as the underlying mechanism of this disease. Considering this dramatic lack of progress after a century of conventional medical research into the causes of irregular heartbeat, the need to solve this puzzle is obvious. It is even more urgent, considering the fact that millions of patients worldwide need no longer suffer from this condition. 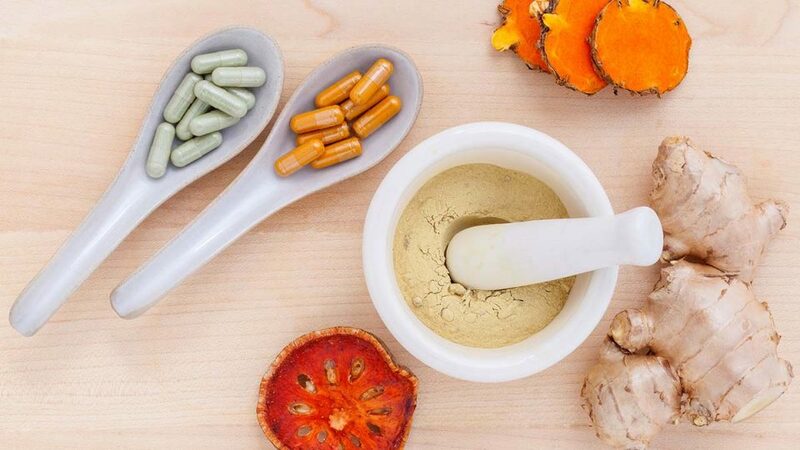 With the support of thousands of patients that had already helped with vitamins and other nutritional supplements, the Matthias Rath, Inc. Research Institute conducted the first independent clinical study with cellular nutrients in patients with irregular heartbeat. The scientific value and credibility of these study results are beyond any doubt because it was conducted as a so-called “double-blind placebo-controlled” study. This is the same type of study pharmaceutical companies need to conduct in order to get acceptance for their drugs. The complete study can be reviewed on our website [PDF, 747kb]. One hundred and thirty-one patients suffering from irregular heartbeat (atrial arrhythmia) were involved in this study. They were divided into two groups. One group followed my cardiovascular nutrient program, and the other group received an ineffective placebo pill. Both groups continued their pharmaceutical drug plan as prescribed by their doctors. The study was conducted over a period of six months. Decrease the episodes of irregular heartbeat in 30% of the patients. Continuously decrease irregular heartbeat over the duration of the nutrient program. Double the chances of a patient being completely free of irregular heartbeat.